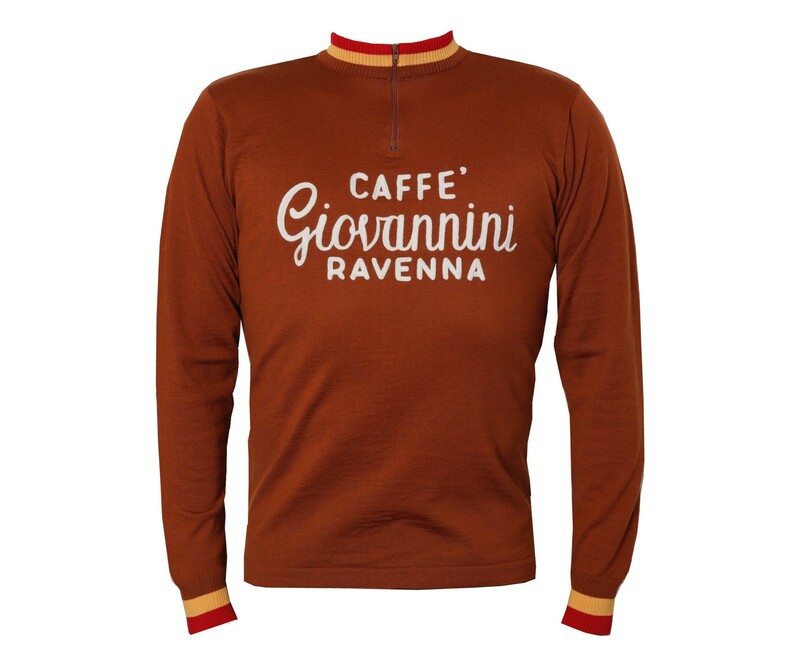 Beauty comes in a lot of forms, and this new long sleeve wool jersey from Woolistic is dripping with it. 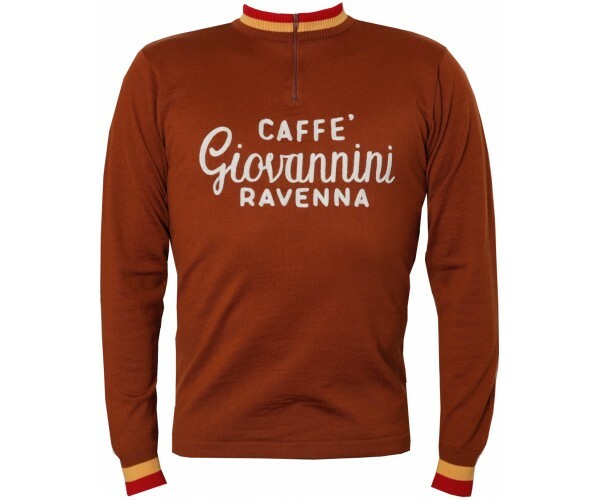 Caffe Giovannini, a vintage 1960s amateur club jersey with a head-turning brown/bronze color (contrasts great with black Woolistic shorts) and a script font that is so beautiful. Classy style in soft 100% Merino wool that offers unmatched performance and comfort. Rare chain-stitch embroidery on front and back. Only a handful of jerseys made so buy yours before it is too late.